On Saturday, two days after the Pakistan-based Jaish-e-Mohammad (JeM) terrorist group orchestrated a deadly suicide car bombing in Kashmir that killed some 40 troopers from the Central Reserve Policy Force (CRPF), 137 aircraft from the Indian Air Force (IAF) struck ground targets 200 kilometres due south of Bahawalpur, the headquarters of the JeM. This was not retaliation. The targets struck were well inside India, in the Pokhran Field Firing Range. 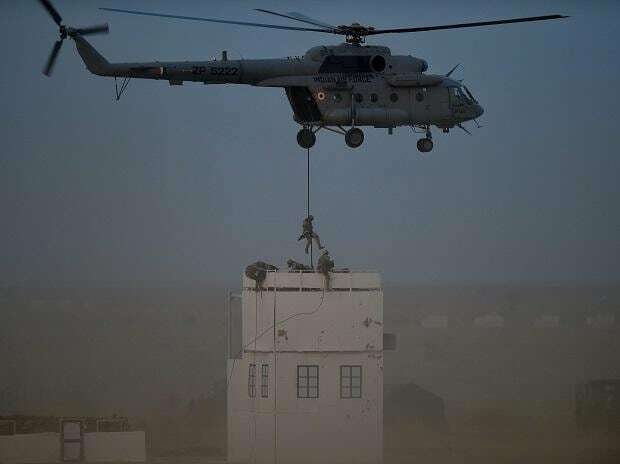 This was a pre-planned exercise called Vayu Shakti, which the IAF carries out once every three years, to demonstrate it is equipped, rehearsed and ready for action. It has been rehearsing Exercise Vayu Shakti for almost a month. “Today we will display the way we would influence events on the ground (in a war). We are showcasing our ability to hit hard, hit fast and hit with precision, hit during day, hit during night and hit under adverse weather conditions through our autonomous bombing capability,” said IAF chief, Air Chief Marshal B S Dhanoa, while inaugurating the demonstration. Like every year, dozens of diplomats, mostly foreign military officers posted in embassies in New Delhi, were flown out to Pokhran in an IAF aircraft and shown the display. There were no diplomats from Pakistan or China — the two countries to whom New Delhi would most like to send out messages of operational readiness. Business Standard learnt diplomats from these two countries were not issued invitations to the demonstration. 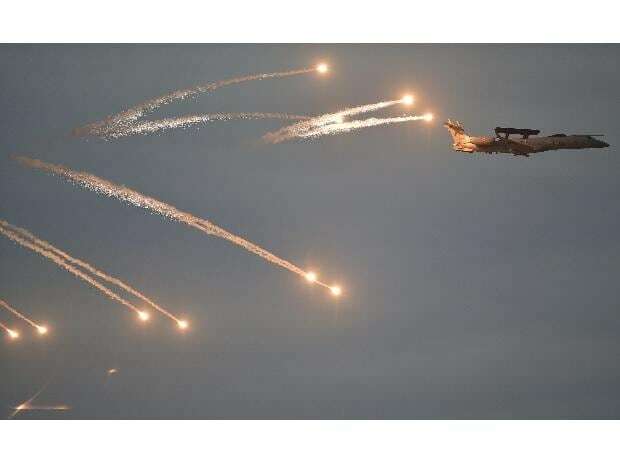 Exercise Vayu Shakti was mostly about displaying the IAF’s ability to strike targets on the ground — such as enemy convoys and tanks, radar stations, railway yards and military headquarters. The other important dimension of air power, air-to-air combat, had been practiced a few months ago in a large IAF exercise called Gagan Shakti. Dhanoa did not miss the opportunity to correlate Vayu Shakti with the recent events in Kashmir. “While wars are few and far between, we have an ever present sub-conventional threat as the enemy knows he cannot defeat us in a conventional conflict. So today we showcase our ability to punish, our ability to insert and extricate our troops from hostile territories,” he said. This was demonstrated in spectacular fashion, with Dhanoa himself arriving in a C-130 special forces aircraft that landed right in front of the spectators on a makeshift airstrip barely 800 metres long. The C-130 is built for inserting commandoes into enemy territory using makeshift airstrips. 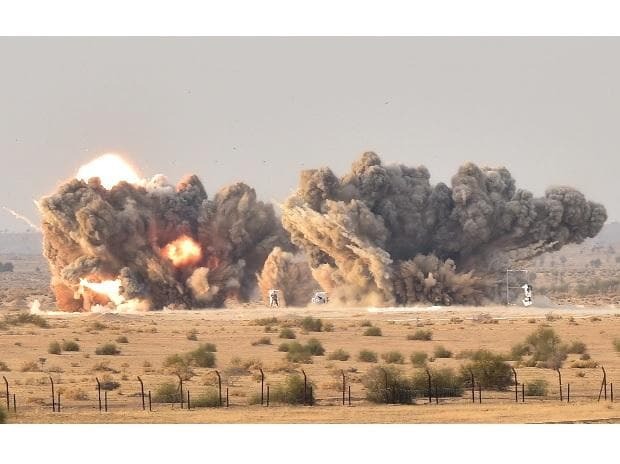 Thereafter, the Pokhran Ranges resonated with explosions as each of the IAF’s fighter aircraft struck a variety of simulated targets with unerring accuracy. For the first time, the MiG-29UPG — an air-to-air fighter that has now been upgraded to a multi-role aircraft — showcased its new ground strike capability. 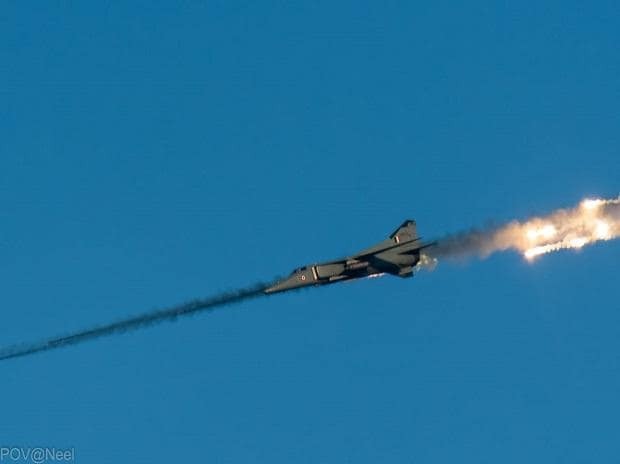 Also featuring for the first time was the swing role capability of the Tejas fighter, which fired a missile at an enemy aircraft and also struck a ground target in the same mission. The indigenous Akash missile also engaged and directly hit a simulated aircraft target by night. Exercise Vayu Shakti is conducted once every three years. This firepower demonstration was earlier conducted at the Tilpat Ranges outside Delhi. But, after 1989, it was shifted to Pokhran Ranges where more land is available.